The Catholic community in Weyburn began as a mission of the Order of Our Lady of LaSalette. As the number of Catholics in Weyburn grew, so did the need for a space that those people could call their own. In May of 1906, it was decided to erect a mission chapel. On November 2 6, 1906 the building was completed, and soon after Rev. J.M. Trapeau was installed as the first resident priest. And thus, St. Vincent de Paul Parish had begun. As the parish began to grow, so did the number of missions that the parish took on, as did the amount of parishioners and newcomers that received the sacraments. In 1922, St. Mary’s Altar society came into existence, and they became instrumental in reducing the parish debt and ministering to the parish in other ways as well. 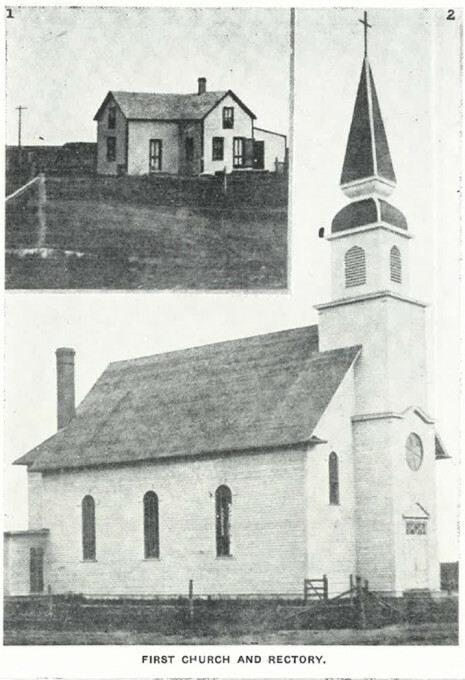 In 1925, our first parish hall was built, allowing many more activities and events to take place within the community. In 1931 the Weyburn Subdivision of the CWL (Catholic Women’s League) was established. In 1934, efforts to establish a Catholic school in Weyburn began to be made. The winter of 1935-36 was very severe, with persistent and extreme cold and blizzards that caused parish activities to practically cease. After the weather warmed up, the parish was brought back to life by an amateur hour staged by the Weyburn Knights of Columbus in the parish hall. In 1937 the parish hit another setback when Diphtheria and Scarlet Fever struck the city, and a massive drought came over the area. Father L. Landry came from Detroit, Michigan, and reminded the parishioners of their roots with Our Lady of LaSalette. He urged them all to make a special devotion to Our Mother, and three days later a very unexpected (but welcome) downpour drenched Saskatchewan, offering a reprieve from the dry weather. The outbreak of World War II saw the South Saskatchewan Regiment stationed in Weyburn, filling our little church to capacity. Many clubs and groups were also started up for the younger population of our parish, making it apparent that there was a growing need for a Catholic school. And so, in 1950 a new rectory was built, and the old one was then converted into a residence and classrooms for the Sisters and their Loretto Academy, which taught kids from Grades 1-8. A classroom was later built in the basement of the parish hall to accommodate Grades 8-10. 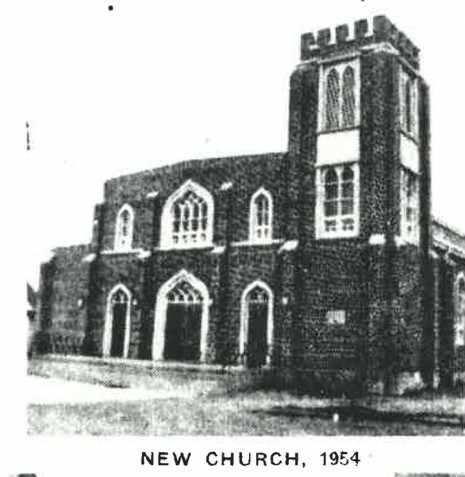 In 1952, steps were taken to build a new church which was then completed in 1954, and the year was highlighted by a decision to create a separate Catholic school district. Although there were many hurdles, St. Dominic Savio School was able to open for the fall term in 1955, and the school building itself was opened the following year. A few years later, in 1962, St. Michael’s School was opened, offering a full high school curriculum. July 19, 1956, our parish celebrated its Golden Jubilee, fittingly on the feast day of St. Vincent de Paul. The parish continued to thrive and expand, eventually building a new parish hall in 1968. This is now our current parish hall, named McKenna Hall in honour of Fr. R.J. McKenna. A parish council was formed in 1970, the youth presence at the church continued to thrive, and a bigger effort was made to engage more people and keep them interested in the faith. As more and more minor renovations were made and considered for the church, it became apparent that a major renovation for the church would be best. By 1989, the reconstruction of our church was completed, was able to accommodate the 1089 families we had in our parish at that time. With our new and improved church, our parish continued to climb. We celebrated our centennial year in 2006, and since then have persevered in our growth of this parish. With God as the center, and an example shown by St. Vincent de Paul, we have overcome many obstacles to be the parish that we are today. We are proud to call this parish our home, and it is always our pleasure to welcome new people into our home as well. And a huge thank you goes out to all of the people that have devoted so much time and energy to compiling these histories. May the history that has yet to be written be as full of love and community as the last 100+ years have been!